This listing is for 1 “Always Remembered” table sign made of 1/8” thick, recycled eucalyptus board. The table sign wording is approximately 8” wide and 10” tall. 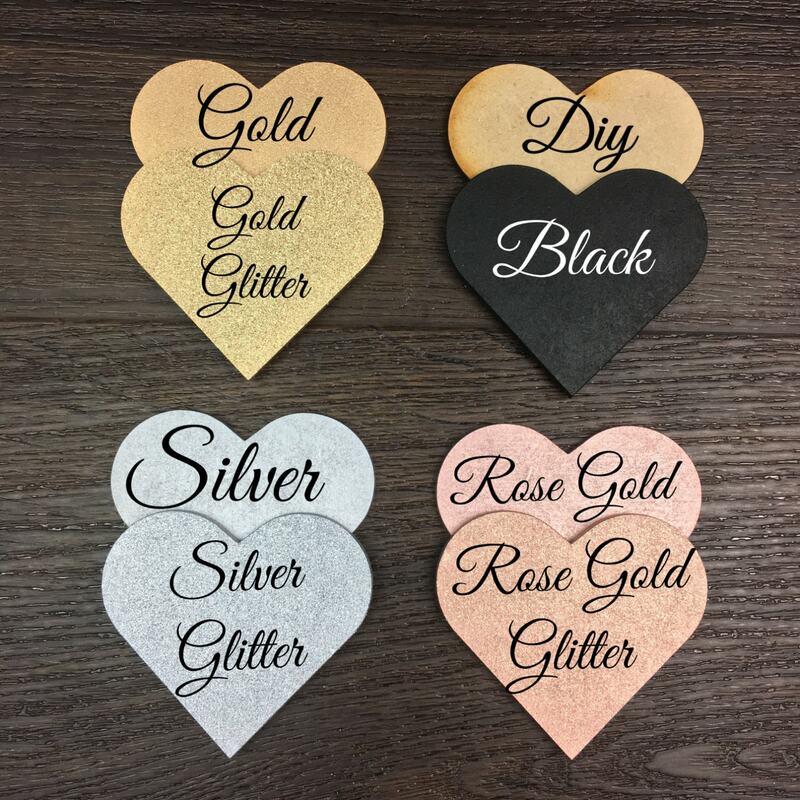 This table sign is available in: gold, gold glitter, silver, silver glitter, rose gold, rose gold glitter, black and DIY (unpainted). If you order a painted table sign it will come painted on both sides. We hand airbrush all of our products with non-toxic paint and seal the sticks of our cake toppers. 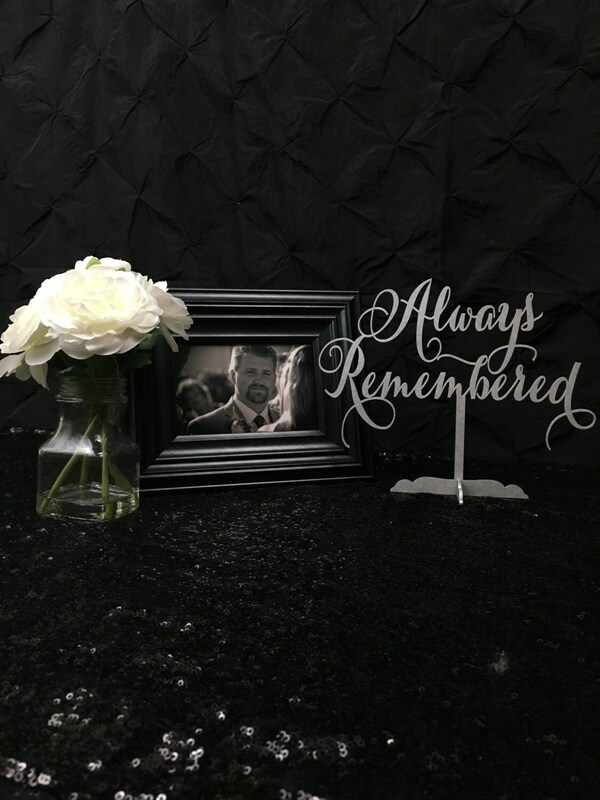 It turned out awesome and I can't wait to use at my wedding to remember my grandparents!